Did you the species of parrot in this week’s Pet Pop Quiz? Did you ever have one? I did. His name was Turkey and he was the first bird I owned. While he never talked he was a character and a great ambassador of the species. One of my mom’s friends who was terrified of birds adopted one of Turkey’s babies for her 2 kids and fell absolutely in love. Love when that happens! Q: This little bird is one of the smallest parrot species and the most popular. But what it lacks in size it makes up for in talking ability as it’s known as one of the best talking parrot species. What is the name of parrot? A: Most people in the US know this species as the parrakeet, but it’s also known as the budgerigar or budgie for short. 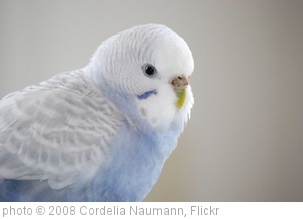 One budgie made it into the Guinness Book of World Records for being able to speak 1728 words. 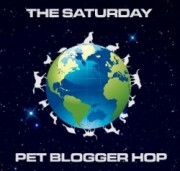 If you left a correct guess in the comments you’ll get you an entry into the September Pet Pop Quiz and Contest. Stop by next week for another chance to get an entry. You can tell we have left summer behind and are moving into fall- mornings are much cooler, leaves are starting to change and fall, sports news is mostly about football. The critters love it because we can do a lot more without worrying about them getting overheated. Hope you and your critters are enjoying the cooler weather. Living in Pennsylvania and being an animal lover I knew what breed the state dog was. I didn’t know the story about when it was voted on. Check it out in the answer. Q: Each state has a state flower and state bird, but did you know some states have state dogs? Pennsylvania calls a well known giant breed as its state dog. Name the breed. A: Pennsylvania’s state dog is the Great Dane. Most state dog breeds get their designation because the breed originated there, the Great Dane’s connection to PA is through founder William Penn who was thought to have owned one. When the PA legislature voted for the Great Dane to be the state dog, the members voted with yips, growls and barks and the speaker confirmed the vote by saying “the arfs have it”. How’s that for government!? After a little break, the Pet Pop Quiz is back! Time to get your brain cells working after the holiday weekend.